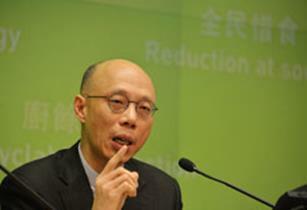 Green groups called on Secretary for the Environment Wong Kam- sing to outline an emissions plan for 2030 and beyond. Wong, pictured, who is in Paris, should bring ideas from other regions back home, they said. Currently, Hong Kong’s plan is to reduce emissions by 19 to 33 percent as compared to 2005 levels by 2020. It is odd that China has outlined its plan well beyond 2020, said Gavin Edwards of the World Wildlife Fund. The plan may include “a scheme to encourage renewable energy development,” he added. After a legal campaign that took two and a half years to get to its first hearing in April, normally dispassionate lawyers were visibly moved by the judge’s words. “As the verdict was being read out, I actually had tears in my eyes,” Roger Cox, Urgenda’s lead advocate, told the Guardian. “It was an emotional moment.” Young activists in court said that the ruling had gone some way to restoring Dutch national pride, which has been dented as Denmark, Germany and even the UK overtook the Netherlands, once seen as a European climate leader, in the green economy race. The Dutch Socialist party MP Eric Smaling cautioned though that “some people will feel proud but others are more unhappy about the influx of refugees. So far climate action has too much been the last baby of a relatively leftist elite.” He called for a wide coalition to spread the climate action message before elections in early 2017. The Dutch government has not decided whether to appeal the court’s decision yet, but opposition politicians are steeling themselves for the prospect. Stientje Van Veldhoven, an MP and spokesperson for the D66 Liberal opposition in parliament noted that the government had yielded to a comparable, if more limited, ruling ending gas extraction in part of the giant Groningen gas fields earlier this year. “The government has never ignored a court ruling like this one before, but there has never been a ruling like this before either,” she said. “Everybody has a right to appeal.” Veldhoven has requested a parliamentary debate on Wednesday’s court ruling. In a statement on behalf of prime minister Mark Rutte’s cabinet, the Dutch environment minister Wilma Mansfeld said that the government’s strategy was to implement EU-wide and international agreements. Professor Pier Vellinga, Urgenda’s chairman and the originator of the 2C target in 1989 said that the breakthrough judgement would have a massive impact. “The ruling is of enormous significance, and beyond our expectations,” he said. The court also ordered the government to pay all of Urgenda’s costs. Studies show that exposure to light after dusk is quite literally unnatural, and may be detrimental to health. Do we need 24/7 garages, supermarkets and TV – or should the city that never sleeps be put to bed? This is a city that is famous for its nightscape: neon signs advertising market stalls, pawn shops and steakhouses; illuminated skyscrapers; swanky malls that stay open – and stay lit – well into the night. “When I walk at night around some of these commercial centres, it’s so bright you almost want to wear your sunglasses,” Pun says. Indeed, in our collective imaginations, cities are meant to be bright. But as studies begin to show that too much light can be detrimental to health, and fewer of us are able to see the stars when we look up, are cities getting too bright for our own good? Hong Kong isn’t alone in celebrating light. Paris is still known as the City of Light; only slightly less glamorous Blackpool relies for tourism on its annual illuminations, when more than 1 million bulbs light a distance of 10km. This celebration of artificial lighting is perhaps unsurprising, given how recently electric streetlights became the norm. It’s easy to forget that being bathed in light is a relatively modern phenomenon. Although electric streetlights first began appearing in European capitals in the mid-1800s, widespread street lighting did not become common until well into the 20th century. It soon became a clear view of the night sky that was uncommon. 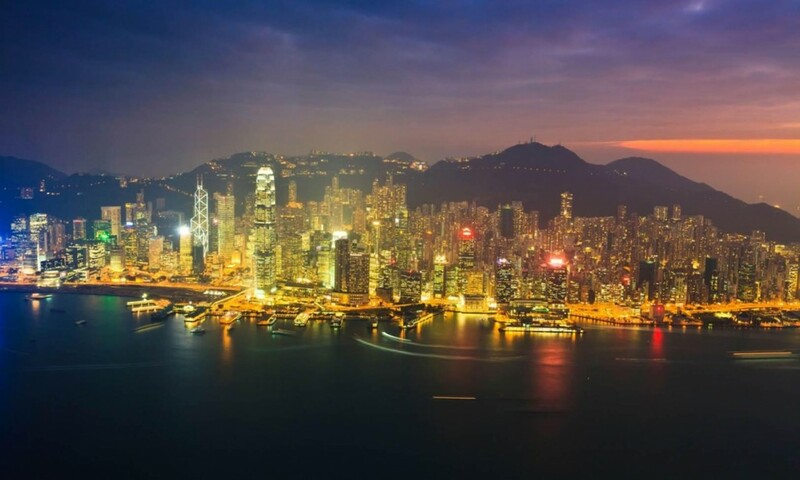 Hong Kong is now often touted as the most light polluted city in the world – a view supported by a recent study from Pun and his department, Hong Kong Night Sky Brightness Monitoring Network (NSN), which measured so-called “night sky brightness”. “We set up about 18 stations around the city, in all sorts of living environments – from the commercial urban centre, to more residential neighbourhoods, to relatively rural areas,” he explains. Then they compared the levels of light to the standard provided by the International Astronomical Union, which states how bright the sky would be without artificial light. In the most-lit areas, it was 1,000 times brighter. But with light pollution studies still in their infancy, and without any strict international standards on how to quantify the extent of light pollution, it’s hard to say for sure whether Hong Kong is the most light-polluted city. Other candidates that are often cited by those with the best view – astronauts – include Las Vegas, Tokyo, Seoul and New York. That can include health problems. “There’s a cascade of changes to our physiology that are associated with light exposure at night,” says Steven Lockley, a neuroscientist and an associate professor of medicine at Harvard Medical School. He has looked at the impact of light on human physiology, including on alertness, sleep, and melatonin levels. Because humans evolved in a 24-hour light/dark cycle known as the circadian clock, any light after dusk is “unnatural”, Lockley says. When we are exposed to light after dusk, “our daytime physiology is triggered and our brains become more alert, our heart rates go up, as does our temperature, and production of the hormone melatonin is suppressed”. Has the way city dwellers live, removed from natural light patterns, confused our bodies? “Not so much confused as shifted: we’ve been shifted later,” Lockley says. “What happens when people go camping? If you don’t have sources of electric light, then you go to bed earlier, shortly after the sun’s gone down, and you sleep for longer.” Every day we don’t go to bed at dusk, we experience what Lockley calls “mini jetlag”. His colleague, Ken Wright at the University of Colorado in Boulder, conducted an experiment on camping. Wright found that for campers, midnight was the middle of the night: living in brightly lit cities has artificially lengthened our days. “We go to bed later, we don’t sleep as long, and we don’t know of the long-term health impact of changing,” he says. There have been studies about how changes in circadian rhythms – which may be explained by exposure to light at night – can have an impact on humans. Studies of shiftworkers found that circadian disruption is “probably carcinogenic to humans”; female nightworkers, for instance, were found to have a higher risk of breast cancer than women who do not work at night. 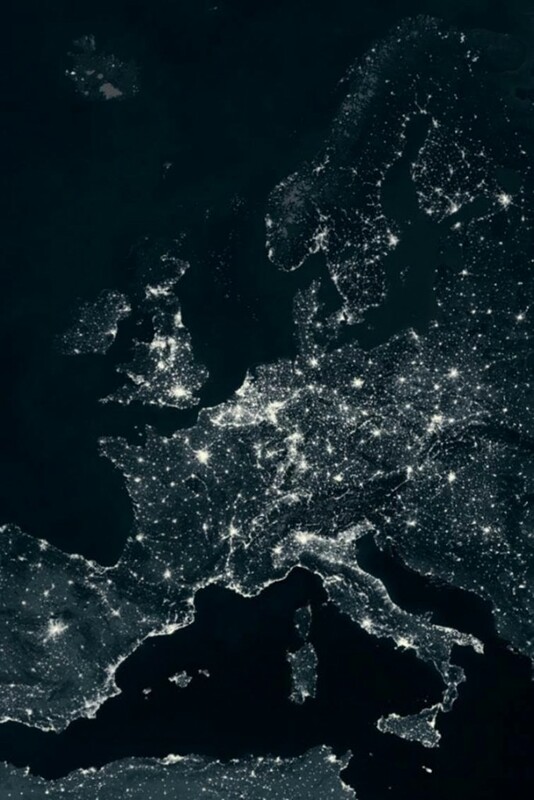 It might not be plausible to put the metropolis to bed at dusk, but cities can mitigate some of the worst light pollution. “Proper outdoor lighting,” says Kardel, “conserves energy, reduces glare” and cuts back on so-called light trespass, for example when your neighbour’s bedroom light bleeds into your sitting room. Pun also suggests limiting the number of light installations and their hours of operation, and controlling the distance between lights and living environments. “It’s a particularly big problem in Hong Kong because it’s a very densely populated city,” he says. Any change, he also points out, would have to be a community effort that involves not just business but government. 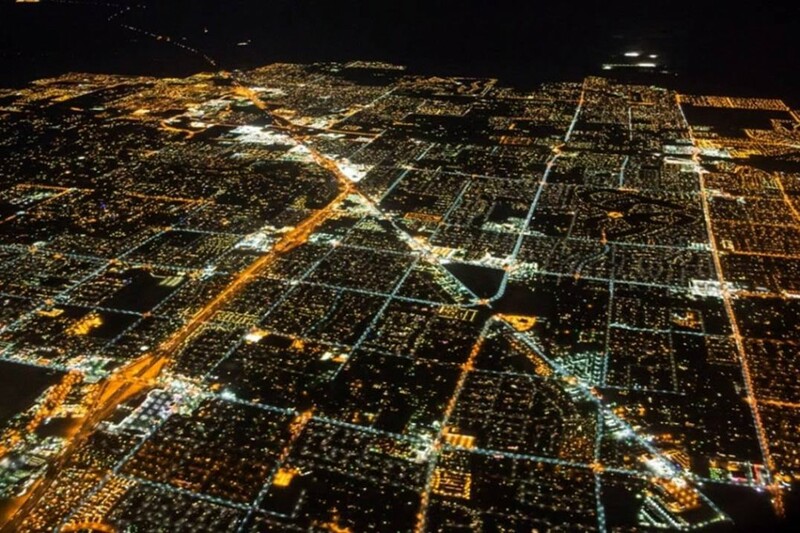 Los Angeles, however, is one megacity that has been trying to scrape back some of its nighttime darkness. Not long ago a sprawl of apricot-coloured street lights, LA has since undergone one of the largest LED streetlight replacement projects in the world. 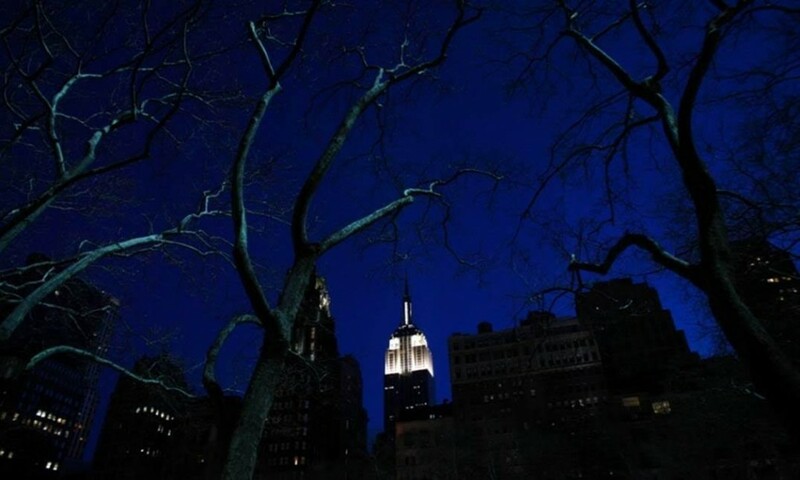 LEDs are proving a popular choice for cities wanting to save on lighting costs: they are being rolled out in New York, Copenhagen and Shanghai. “We might not quite be at the point where cities are putting in those types of tuneable street lamps,” he adds. But many communities in the UK have either adopted or trialled “part night lighting”, switching off the lights where they’re not needed or lowering illumination levels for part of the night. Motion-sensing technologies are being tested in the Netherlands and Ireland. • It’s an obvious one, but switch off any lights you are not using. • Ensure indoor and outdoor lighting is directed at what you’re trying to light and that it’s shaded. Table and floor lamps are better for this than overhead lights. • Use low-watt lightbulbs – you’ll save on bills and reduce glare. • Install dimmer switches so you can alter brightness to suit ambient light. • Use motion sensors or timers so outdoor lights are only on when they need to be. • Install thick curtains or blinds to minimise light escaping your home at night. • Ask your local councillor to get street lamps fitted with directional, low energy lights – after all, residential areas don’t need to be lit up like football pitches 24 hours a day. On Dirty Energy Month’s Global Day of Action – Don’t Burn Our Future: Against Waste Burning and for Zero Waste. Mariel Vilella from Global Alliance for Incinerator Alternatives (GAIA) writes about the consequences of refuse dirived fuel projects. Municipal governments throughout the world are facing choices about how to manage the unending stream of waste generated by their residents and businesses. In some places landfills and dumpsites are filling up, and all landfills and dumpsites leak into the environment. As populations continue to grow, the issue of waste becomes more urgent and more complicated. Many regions are already facing a waste crisis, and drastic measures are needed. It’s a golden opportunity for private companies with “innovative” waste technologies, which they claim, will not only eliminate waste but will also generate energy. Some municipal governments, seduced by the idea that they will be able to turn their urgent problem into something of immediate value, have made the mistake of investing significantly in refuse derived fuel (RDF) projects, resulting in the burning of waste in incinerators, biomass plants, cement kilns, and other combustion units. However, producing and burning RDF does not make household and industrial waste disappear, nor is it an energy or climate solution. The basis of the technology is incineration, and the burning of garbage – whether in “waste to energy” (WTE) plants, incinerators, biomass plants, cement kilns, or other industrial burners – involves an unsustainable consumption of natural resources, pollutes the environment, increases climate change, compromises human health, and seriously disrupts the lives of huge numbers of informal sector recyclers, specially in the Global South. Moreover, despite burning RDF involves paper, plastic, and metals that come from finite natural resources such as forests, energy from incinerators is considered ‘renewable’. Even if plastics and tires are made of oil; incinerators, biomass plants and cement kilns burn them as ‘alternative fuels’, taking advantage of this blatant ‘green washing’. Not only this is a distortion of what should be deemed a sustainable, clean, and renewable energy source, it’s an extremely inefficient use of resources, as it requires an enormous amount of waste to produce a small amount of energy. Ultimately, burning these resources creates a demand for more “waste” and discourages the real solutions: conservation, redesigned packaging and products, reuse, recycling, and composting. Countries like the UK, China, India or the US, are strongly supporting the production and burning of RDF through the application of renewable energy subsidies to these practices, amongst other bonuses for these industries. Take the example of the planned Barton Renewable Energy Plant in Urmston, Greater Manchester, which if built, it will burn 75% biomass and 25% RDF. Despite the fierce opposition of the local Council and community, the UK government has pushed its approval arguing the necessity to meet the Renewable Energy national targets. In China, the energy generated by incineration is subsidized at the same level as solar and wind power, and 0.38% of the energy cost on-grid is covered by public funds. A similar situation can be found in India, where government’s pledge to double the capacity for renewable energy without mentioning specific sources has been met with skepticism and controversy. In the US, most federal energy subsidies that benefit incineration are actually meant to support the development of real renewable energy sources such as wind, solar and micro-hydro, which should not have to compete against dirty energy for the same funding. Read more on this here. Investments are needed to think waste out of the system, but not through burning but through practical, bottom-up, decentralized strategies and urban solutions for reducing climate pollution and conserving energy and natural resources. These efforts go hand-in-hand with clean production, producer responsibility, and waste minimization programs for dangerous and hard-to-recycle materials. In contrast with the primitive idea of burning our garbage, recycling and composting create livelihoods, save money, and protect the environment and public health. Government advisers and green campaigners expressed dismay at the lack of progress in tackling the mainland’s worsening environment, despite Beijing’s renewed pledges to combat climate change and pollution problems. Premier Wen Jiabao said yesterday that severe pollution and high energy use remained big challenges despite the government’s costly campaign to repair the environment. Speaking at the opening of the National People’s Congress, he vowed Beijing would “unswervingly” push the anti-pollution drive and address climate change. But his renewed promises failed to cheer mainland environmentalists, who said the damage was a lot worse than Mr Wen has said and were unhappy with the government’s inability to reverse the situation. They said Mr Wen had talked little about the grave situation in dealing with global warming, and the speech was short of pledges to do more to help make the international climate change campaign a success. According to Mr Wen, Beijing reported progress in curbing the emission of major pollutants and promoting energy efficiency last year, the second time since 2006. Energy use per unit of gross domestic product was cut by 4.59 per cent. Emissions of acid rain-causing sulfur dioxide and chemical oxygen demand (COD), two keys in measuring water pollution, fell by 5.95 per cent and 4.42 per cent respectively. Beijing set ambitious targets three years ago as part of a five-year plan to cut energy consumption by 20 per cent and the aforementioned pollutants by 10 per cent by next year. Referring to a major achievement in protecting the environment, Mr Wen said energy use per unit of GDP had dropped by 10 per cent over the past three years compared with the 2005 figure, while COD and sulfur dioxide emissions had been cut by 6.6 per cent and nearly 9 per cent. “We will implement the … plan for addressing climate change and become better able to respond to it,” he said. Environmentalists said the addiction to coal and policy priority on maintaining high growth would make it much more difficult to meet the pollution control targets on time. I think minibus designs should be changed to make them more environmentally friendly and cost-effective. Also, I think reintroducing buses without air conditioning is one way to help people who take long trips to work, cope better with the economic downturn. Most buses have too much air conditioning. Even in the winter it is switched on which is a waste of energy. In fact, during the peak flu season air conditioning can help spread flu in enclosed spaces. In a redesigned minibus it would be possible to have more control over air-conditioning settings. Also, if some buses did not have air conditioning on some routes, this could make fares cheaper for people on low incomes having to commute from some remote areas to the urban areas of Hong Kong. This would lower their transport costs. What Do You Think Of Air-Con Levels? In the past, having an air conditioner was a luxury and only the affluent could afford them. Now they are a necessary part of our lives. Almost every family in Hong Kong has air cons. I cannot imagine how I would endure the summer without air conditioners. I did not realise how important they were until the air con in my classroom broke down. A lot of people turn their air conditioner lower than the temperature recommended by the government, 25.5 degrees Celsius. Sometimes, when I enter my classroom, it feels like a fridge and many of us have to wear jackets. This is a waste of electricity. Global warming is a serious problem and is caused by many factors. Although car exhausts, factory emissions and deforestation are among the main culprits, we cannot ignore the effect that using air conditioners has on our environment. Temperatures are gradually rising in Hong Kong and it is predicted that soon the cool months will disappear. Global warming will see countries facing more extreme weather conditions. Floods, drought, typhoons and heat waves will happen more frequently. If the water supply is affected, crop yields will drop and affect the food supply. We must all become more aware of the need for greater environmental protection. There must be more tree-planting initiatives and we can all do our bit by using more public transport, recycling and adjusting the temperature on our air conditioners. Legend tells us that the Emperor Nero fiddled while Rome burned. It seems very little has changed if we judge by the verbiage emitted by the G8 summit in Hokkaido. The globe is facing a major ecological catastrophe, yet the little emperors who attended the meeting kept fiddling as usual. Competent scientists warn us that we must quickly reduce carbon emissions, that is, reduce the burning of coal and oil and end the conversion of rainforests to commercial agriculture, especially to produce damaging biofuels. The obvious conclusion is that an immediate cap must be placed on the extraction and consumption of coal and oil. Was this decided by the Hokkaido meeting? President George W. Bush (a neo-Nero) supports the oil industry and is afraid to offend American gas-guzzlers indulged by the automobile and road-building industries. The G8 countries maintain excessive military installations that burn huge amounts of fuel in warplanes, warships, tanks and war games every day. Was any effort made to reduce their wastefulness and ecological destruction? Anyone who still believes that the world needs armies and navies to maintain peace is either stupid or has a vested interest. These outmoded institutions waste lives, pollute the earth and waste energy. If political leaders are really serious about the health of the planet, they will order immediate cuts in military expenditure and a curb on the waste of fuels by their armed forces. In primitive times, military men were considered patriotic. With our globe approaching ecological collapse, it is now more patriotic to condemn the damage and wastefulness of militarism and to demand that politicians stop their fiddling while our world heats up. If environmentally-conscious American and Chinese mothers told their children to look down on military men as big polluters and ecological Frankensteins, there would be some hope for our overheated globe. Loving one’s country now means protecting it from the ecological damage caused by the ignorant and careless Neros of our age. Electrical appliances could be one of the next categories of goods targeted by the Eco-Product Responsibility Bill, the environment chief said yesterday. The bill, which aims to provide a legal framework for manufacturer responsibility schemes, first set its sights on plastic bags, which are to be taxed by the middle of next year. Speaking on an RTHK radio programme, Secretary for Environment Edward Yau Tang-wah said the administration would take into account the amount of pollution produced and the timeliness of a category of products when deciding which would be next regulated under the bill. “With economic growth, consumer spending incentives will also increase. It is often quite common for people to dump electrical appliances,” he said. Waste such as tyres and plastic containers were also on the list for consideration, he added. Mr Yau also said the 50 cent tax on plastic bags would be implemented by the middle of next year. He said the government was still working out the details. “Subsidiary legislation will be required when implementing the bill. We will use our time during the summer vacation before the next legislative term, so as to get ready for working out the details,” he said. On Thursday, lawmakers approved a 50 cent tax on bags handed out in stores. Mr Yau said that at this stage it would be hard to estimate how many plastic bags would be saved every year as a result of the tax. However, he said he hoped that through legislation it could help the public and business community gradually change their habits on the use of plastic bags.